Constructed in 1911, the Sacred Heart Co-Cathedral first served as a parish for Irish immigrants. 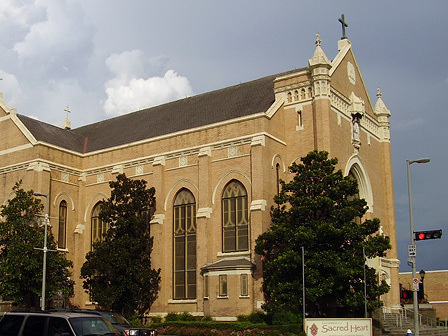 Architect Olle J. Lorehn of Houston designed the cruciform Gothic Revival building. Though well maintained and in use for daily masses, the Diocese has pronounced the cruciform Gothic Revival building “unsound” and has announced plans to demolish it within three years.